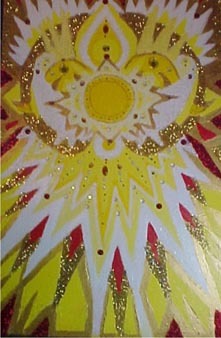 I found a good home for “Vision of the Divine”, from the Namaste series. Given to a lovely spirit, who is a yoga teacher, and works with special needs children. In the meantime, still working on Connecticut Fantasy, but not enough progress to warrant a WIP picture. As for the MS picture, it finally was decided that I’d do a drawing of bicyclists in the MS bike tour. As my friend said, the theme of the night is athletic and upbeat. Her husband was convinced. As soon as I finish Connecticut Fantasy, I will start on it.